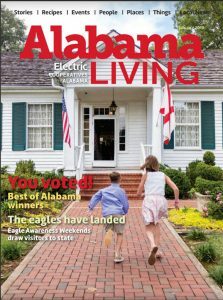 Alabama Living is delivered to some 415,000 Alabama families and businesses that are members of 22 not-for-profit, locally owned, locally directed and tax-paying electric cooperatives. The magazine is published monthly as an editorially balanced, informational and educational vehicle for member cooperatives. Alabama Living supports the concept that each cooperative is a unique and wholly democratic institution dedicated to the well-being of its members. It is the largest publication of its type in Alabama.